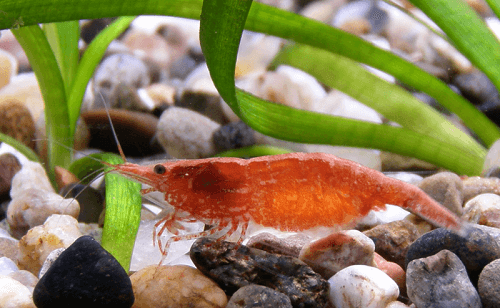 Red Cherry Shrimps have the ability to thrive in small fish tanks and are the best freshwater shrimps. Because are very easy-to-keep for beginners, only a 5 gallon aquarium can provide a suitable environment for them to thrive. 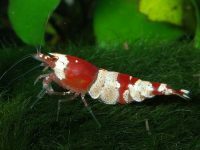 Known to scientists as Neocaridina denticulata sinensis, the Red Cherry shrimp has long been a popular choice for aquarium hobbyists. The Cherry Shrimp is a captive-developed morph and is not found in the wild. The wild-type of the Cherry Shrimp, generally known as the Taiwan Shrimp, is found in southern China and Taiwan. This hardy and fascinating shrimp now finds its home in aquariums throughout the world. Its bright red color makes it a striking addition to just about any community tank, and its gentle nature means that it will not harass or harm the other residents of the aquarium. Juvenile shrimp are not as colorful as the adult females. Many times they will appear transparent with red spots. Males may keep this look for the majority of their lives as they don’t have as rich coloring as the females. They grow to around 1 inch at the maximum. Females tend to be larger than males and more colorful. Dark aquarium substrates also help to bring out their color. These bright red shrimps will do best in a heavily planted and well established tank. 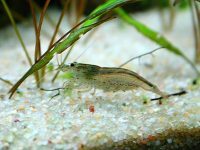 Avoid adding these shrimps to a newly established tank – always wait until the tank has completely cycled before adding either invertebrates or delicate species of fish. It is also important to provide plenty of aquatic plants and hiding places throughout the tank. Although the cherry shrimp is not considered a shy species, the availability of hiding places will make them happier, healthier and more active. Empty aquariums are not good for these little fellows. The cherry shrimp is the perfect choice for the beginning hobbyist, since this species is typically quite hardy and easy to care for. 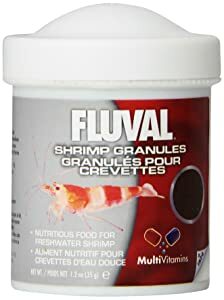 Unlike many other varieties of shrimp, the cherry shrimp can tolerate a wide range of pH levels, hardness levels and water quality. In fact the cherry shrimp is so hardy it is often kept in outdoor ponds in parts of the country where freezing is not a concern. The cherry shrimp should never be housed with species that like to eat crustaceans, including puffer fish, loaches and cichlids. It may be possible to safely house cherry shrimp in a tank of dwarf cichlids, but even cichlids too small to actually eat the shrimp may occasionally harass them. Cherry shrimps tend to be quite peaceful and easy going around both other fish and other invertebrates, and they are generally peaceful with one another as well. It is possible to house a colony of these shrimps in a tank as long as there is enough room for each individual shrimp to establish its own territory. I use to have over 50 of them in a 20 gallon aquarium tank without problem. 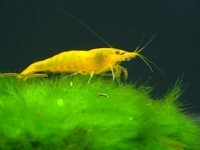 The cherry shrimp is a great choice for algae infested tanks, since algae is one of its favorite snacks. 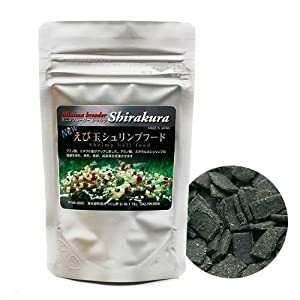 In many established tanks there will already be enough algae growth to support a colony of cherry shrimps, but if there is not enough algae available their diet can be supplied with commercial shrimp food such as Fluval Shrimp Granules and Shirakura Shrimp Food, and sometime with fresh vegetables like cucumbers and zucchini. In addition to the supplemental feeding many hobbyists like to create a so-called algae rock – a rock that can be used to growing algae on which the shrimp like to feed. Placing this algae rock near the front of the tank will allow hobbyists to watch their colonies of cherry shrimps as they feed. 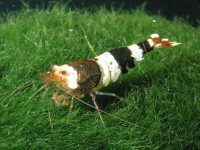 Cherry shrimps are relatively easy to breed in captivity, and even sexing them is pretty straightforward. In this species the female is generally larger and displays a deeper red coloration than the males. In fact the males often show little coloration at all other than a few red spots on an otherwise plain body. When both male and female are happy and healthy they will breed quite readily. It is of course important to move the mating pairs to a breeding tank. Baby shrimps are born as miniature adults (once the egg hatches they will be a couple millimeters long like a miniature adult and not go through a larval stage). Only return the baby shrimp to the community tank after they are large enough to not be a tempting snack for the other residents of the aquarium.